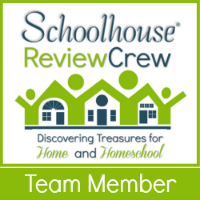 As we homeschool our children, we see it as an opportunity to disciple the whole child. Today’s review is for a documentary released by FishFlix entitled, “Exploring Ephesus: City of Apostles“. Although we have always taught our children that the Bible is true and is history, being able to journey to modern day Turkey with Dr. Andrew Jackson and Dr. Mark Wilson really help to solidify in their minds that Biblical events really did happen. Our family received a physical DVD of this documentary which is appropriate for children and adults of all ages. Because it is a documentary, it may not prove as captivating for the little ones in your life, but there is definitely no offensive content. Generally, this film would be most appreciated by those in middle school and above. 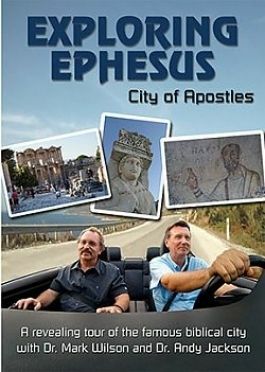 The DVD has the feature presentation of Exploring Ephesus: City of Apostles as well as some bonus tracks including the book of Ephesians, The Seven Churches, Lessons for Today, a music video, and a trailer. The feature presentation is 58 minutes in length. Exploring Ephesus: City of Apostles was definitely a very informative film. There were things that each of our family members learned. The viewing of this film has really highlighted how little our family has done in really mapping out the location of ancient Biblical cities to our modern day map and really studied the area. We have studied ancient civilizations, but not necessarily the history of Biblical cities from the New Testament. What a gap we have created in our children’s learning. A pivotal truth for our family was in learning that the exact site of the city of Ephesus from the Bible is in modern day Turkey. As the documentary progressed, our children could see that in many ways the cities that Dr. Jackson and Dr. Wilson traveled to were just like other modern day cities. Sadly, the region that includes these historical sites are some of those that have very small numbers of people that will profess Christ today. The hosts mention asking those on the streets if they could share who Paul of Tarsus was and most did not even recognize the name. Our family sat under the teaching of Dr. Warren Wiersbe for a time. One of Dr. Wiersbe’s common phrases was that the church is always one generation away from extinction. Yes, we are living in a time that is more than one generation away from the days of the Apostle Paul. However, the point hit home. How could a man that was so highly regarded by some and so passionately hated by others be completely forgotten in his own land? My children were talking about the significance of our remembering George Washington, Thomas Jefferson, and Benjamin Franklin. It led into a discussion of how long would it take for these men to be forgotten if America was no longer a free and democratic nation. Likewise, as Christ was taken out of Turkey, the significance and remembrance of Paul of Tarsus and the Gospel of Christ that he so passionately preached have been completely forgotten and lost their relevance for those that do have a recollection. I am hoping that this is a truth that stays with our children their whole lives. It is only an active, living faith that will pass through to their children and grandchildren. On a more technical side, the quality of the film and the background music were very well done. The information contained was relevant to the topic and increased our knowledge of early church history. This is truly a documentary, so it was not as interesting to our 10 year old as it was to his dad and I, but that would be expected. Exploring Ephesus: City of Apostles is an excellent documentary both in its content and presentation if you are looking to increase your knowledge of early church history and also the physical birth of the Seven Churches mentioned in the book of Revelations. It would be a wonderful supplemental resource for students studying the early church as part of their Bible curriculum in their schoolwork.